Apple plans to start selling the 12.9-inch iPad Pro on Wednesday, November 11th via both its physical retail and online stores, according to multiple sources. 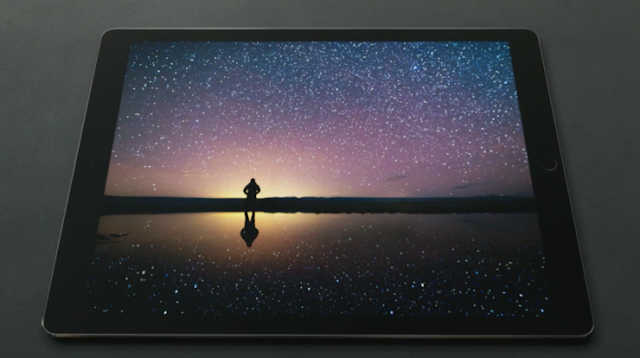 Apple previously only said that the large tablet would become available during the month of November, a couple of months after the introduction in early September. The iPad Pro’s marquee accessories, the Apple Pencil and Smart Keyboard, will also become available for purchase on November 11th. The iPad Pro starts at $799 and comes in both 32GB and 128GB configurations with WiFi only. An LTE-compatible version comes exclusively in the 128GB configuration and costs upwards of $1000.